Preparing your children to be contributing members of society can be complicated. When you’re raising kids, it’s easy to forget to teach them about money management. When it comes to money, you want to teach your kids that money doesn’t equal happiness, but it’s important to be smart with it. It’ll save them a lot of stress down the road if they know how to take care of their finances. So, what exactly do you need to go over with them to prepare them for the real world? In this post, we’ll give you some helpful tips for teaching kids about money. Let’s get started. You’re not giving a lecture on investment and finances to a young child. When your kids are young, they’re not going to understand the full picture of what it means to be responsible with money. Give them the basics now and gradually teach them more about taking care of and growing their funds so that they live a fruitful life. Obviously, a young child won’t need a bank account. That doesn’t mean you can’t teach them about banking, however. When you give your child allowance or when they get birthday money, have them put some of it in a jar, as if it’s a bank. If you teach them the act of putting money away within them at an early age, the concept will be ingrained as they get older and actually open a bank account. A young kid will assume that money will get them what they want. “I’ve got this much money, so I should have this.” This isn’t a good mentality for them to have. They need to understand that they’ll have to prioritize their purchases. If your kid has enough money to buy a new video game, but they need a new bike, teach them that they have to choose which one they want first. Maybe they’ll have to save up to get the bike, which brings us to our next point. Saving money is a skill that not enough adults have, let alone children. If you teach your kids the value of saving their money at a young age, they’ll be more mentally prepared to save up for the things that they want going into their teens and beyond. As your kids get into their mid-teens, they’ll probably start looking at universities. As you know, post-secondary education isn’t cheap. 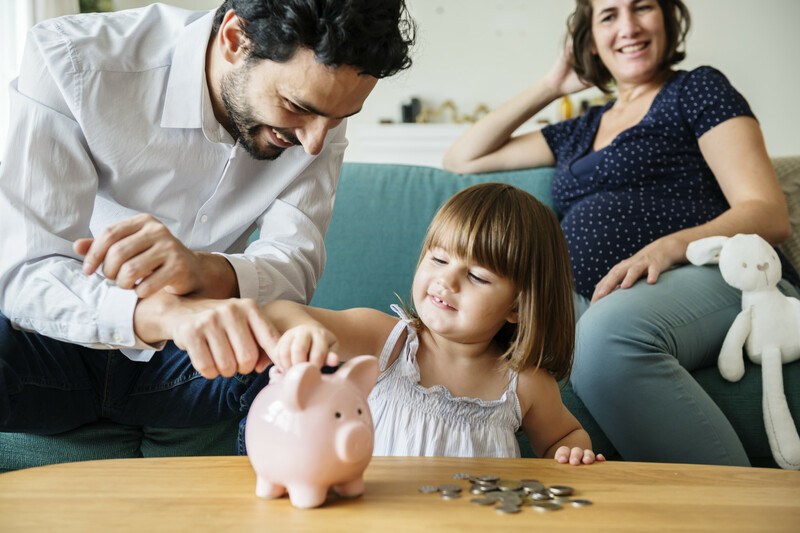 Hopefully, you’ve got a bit of dough saved up to help them out, but teaching them to save from a young age will take some of the financial burdens off of you in this exciting, but expensive, time for you and your kid. Currently, 58% of South Africans are struggling to pay off their credit card debt. If you want to keep your child out of crippling debt, you need to teach them the importance of responsible spending. It’s easier said than done; circumstances could arise in your child’s life that necessitates the use of a credit card. A practice to instil early on is to never keep a balance on your credit card. If you can’t pay it off at the end of the month, don’t buy those things. At the very least, it’s crucial to teach them to make their minimum monthly payments. This will keep them from destroying their credit, which can take decades to fix. At the heart of teaching kids about money is showing them that their actions have consequences. If you save up your money, you can have the things you want. Conversely, if you rack up a large credit card bill and can’t pay it off, you will hurt your credit score later in life. When you’re a young parent, it can be overwhelming to think about all of the values and skills that you want to teach your kid(s), but it’s important to keep money management in your thoughts as you guide them through life. For more information on loans, visit Hoopla Loans. While you’re there, check out our blog for more posts on money management and responsible spending.